Baseball America says the Mariners have ‘baseball’s worst farm system.’ So how did this happen? The longtime baseball publication also released its list of the Mariners' top 10 prospects, led by outfielder Kyle Lewis. Even if you aren’t a prospect geek who spends hours analyzing minor-league box scores or studying scouting reports, this shouldn’t come as a surprise. The Mariners’ farm system has ranged from bad to awful in terms of talent and depth for the past five years. General manager Jerry Dipoto inherited a weak farm system from predecessor Jack Zduriencik when he took over in 2015. And Dipoto has traded a handful of remaining prospects. But now it has sunk to a new level. On Friday, Baseball America released its list of the Mariners’ top 10 prospects (subscription required for full content) and in the process revealed that the Mariners will be rated 30th out of 30 major-league organizations in its farm-system rankings. Sources indicated at the winter meetings that the Mariners would be rated the worst, below teams such as the Royals and Marlins. Thanks to a series of regrettable drafts and poor player development, Zduriencik had the system trending downward in his final years. 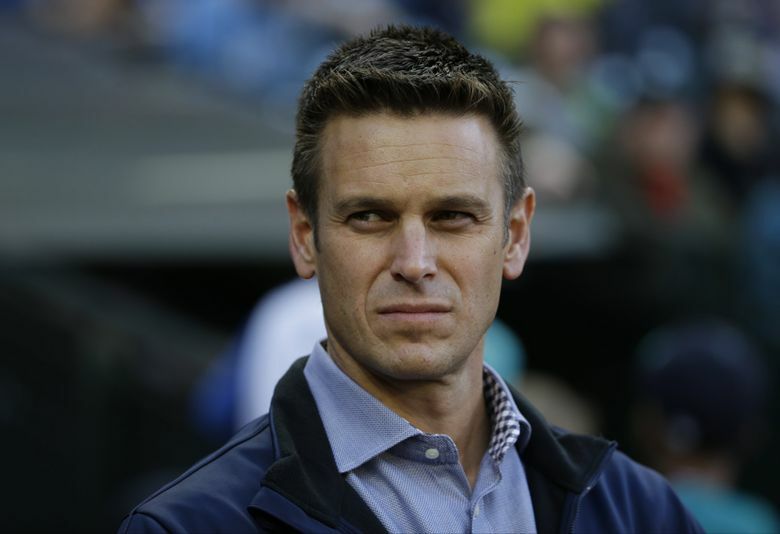 When Dipoto took over, the Mariners were considered to be near the bottom in terms of talent and depth. In an effort to make over his 40-man roster, change the direction of the club at the big-league level and reformat the player-development system under Andy McKay, Dipoto dealt the remaining top prospects from the Zduriencik era. Separate deals sent away left-handed pitcher Luiz Gohara, outfielder Tyler O’Neill, outfielder and former No. 6 overall pick Alex Jackson and last year’s top starting pitching prospect, Nick Neidert. Of the four, Gohara had the most upside. But off-the-field character issues seemed to overshadow his mid-90s fastball to the Mariners, making him expendable. O’Neill gave the Mariners a true power threat in left field. But an increased strikeout rate in his first year at Class AAA, the emergence of Ben Gamel at the big-league level and the Mariners’ thirst for starting pitching led to a midseason trade to the Cardinals for lefty Marco Gonzales. Jackson was on the verge of being a bust in the Mariners’ system. Shoulder problems, strikeouts and issues with minor-league coaching staff regarding his commitment to baseball seemed to determine his fate with the new regime. Neidert was a nice prospect for depth. That he was considered the Mariners’ top pitching prospect last season before he was traded to the Marlins this offseason speaks to the system’s lack of depth. He projects as a No. 4-5 major-league starter at best. A lack of fastball velocity — 89-92 mph — seems to be his biggest hindrance. The organization’s starting-pitching depth is abysmal after Dipoto traded away Gohara, Neidert, Ryan Yarbrough, Brandon Miller, Zach Littell, Juan Then, Juan De Paula and Freddy Peralta. Really, the best arm in the system belongs to Sam Carlson, who is just 19 and was selected in the second round of the 2017 draft. Carlson dealt with elbow issues last summer, limiting him to two appearances in the Arizona Rookie League. Kyle Lewis, OF — The Mariners’ only player ranked among baseball’s top 100 prospects. He’s supremely talented. But season-ending knee surgery in 2016 and subsequent issues last season have limited his time on the field. A full season without knee problems would be a plus. Evan White, 1B — The Mariners first-round pick in the 2017 draft is an athletic enough to play outfield and can hit for average. His first pro season was cut short because of a lingering quadriceps strain suffered in college. Sam Carlson, RHP — He was considered a second-round steal for the Mariners in the 2017 draft as one of the best high-school pitchers in the country. Carlson has a fastball that touches the mid-90s and solid offspeed pitches. But he’s a long way from being MLB ready. Julio Rodriguez, OF — The Mariners signed the 16-year-old out of the Dominican Republic last summer, and he has played only in instructional league games. He’s projected as a power-hitting corner outfielder. Braden Bishop, OF — The speedy outfielder always was considered an elite defender and good baserunner. But after working last offseason on revamping his swing, he produced a .306 batting average and .393 on-base percentage in 2017. Max Povse, RHP — The 6-foot-8 right-hander had an interesting 2017 after being acquired from the Braves. A nagging hamstring issue limited him after an outstanding spring training. The Mariners then tried to turn him into a reliever with no success. He has transitioned back to starting and will be slated for Class AAA Tacoma’s rotation. Matt Festa, RHP — Following the path of Dan Altavilla and Edwin Diaz, Festa was a starting pitcher that was converted to reliever last season. He saw an uptick in velocity, with his fastball touching the mid-90s, and has a nasty slider that is his strikeout pitch. He struck out 99 and walked 19 in 69 2/3 innings. Art Warren, RHP — Another converted reliever, Warren was dominant in the Arizona Fall League. His fastball touched 99 mph. Finding consistent command will be important. Joe Rizzo, 3B — A squatty third baseman (5-9, 194 pounds) with a sweet lefty swing? That has seemed to work for the Mariners in the past. Rizzo was second-round draft pick in 2016 and was considered among the best high-school hitters available. It hasn’t led to video-game like production, but his approach at the plate and improved strength make him appear ready for a breakout season. Juan Querecuto, SS — A switch-hitting shortstop who signed as a 16-year-old in July, Querecuto has played only in instructional league games. But scouts believe he has a mature approach defensively and the pedigree for success with his father Juan and brother, Juniel, also playing professionally in the states.